The Sprenger Sensogan Dynamic RS Universal Bit is a very versatile bit due to the different rein options. 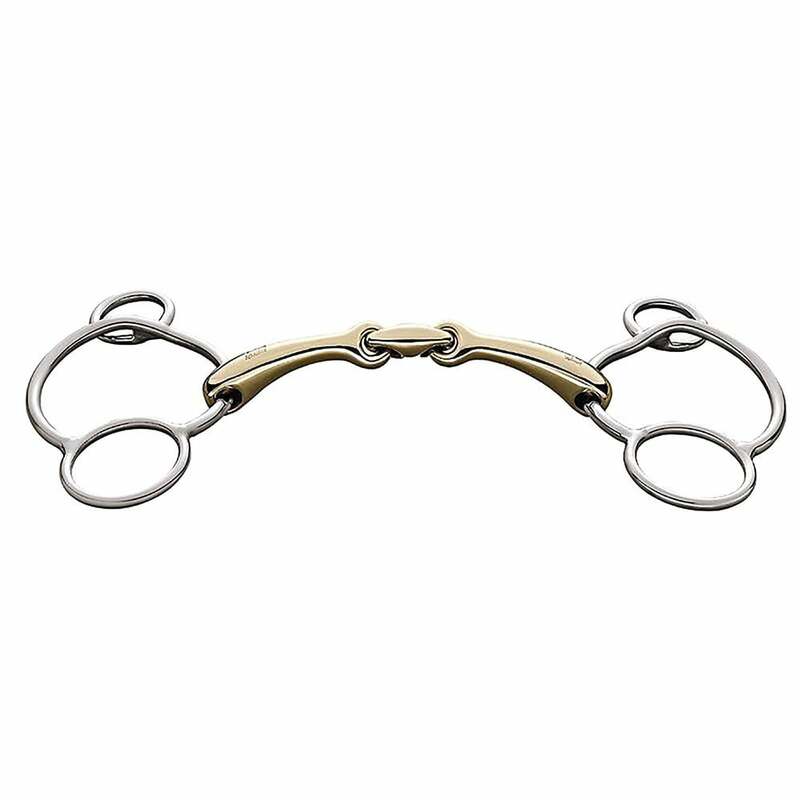 The ergonomically shaped mouthpiece allows the bit to lie perfectly in the mouth resulting in soft even pressure on the entire tongue area, encouraging the horse to soften. The lever action has a slight delay due to the lateral offset position of the upper ring. The central fine lozenge is angled forward by 45 degrees allowing a kind but true and even contact. The Sensogan material of the mouthpiece is the result of ongoing development and improvement of Sprenger's original bit material Aurigan with new ingredient Manganese. Sensogan is helpful in preventing muscle tension and supporting stress reduction whilst the reduced copper content ensures that the bit keeps its colour longer. This Sensogan Dynamic RS Universal Bit can be used with a Sprenger curb strap.